Since my coaching session with Katelyn James, we have decided that we will not be having 2 blogs anymore….WHEW! I would have posted this one on my Senior blog originally because they are teens. However, to keep things simple we are going to use one blog for all our sessions! About a month ago I did a giveaway on my Instagram. The giveaway was for a best friends photo session. The photo with the most likes by the end of the time period won! Well these two girls won the giveaway by far! I actually know these two girls as they attend our church. They are so much fun and always full of life. I love watching their friendship. They are inseparable! These two are also not shy in front of the camera! They definitely know how to work it. Rachel with the model stare, and Angel…Oh how I LOVE her smile! I had so much fun with them and they remind me how much I love shooting teens! They are full of life, energy, and they make it so much fun! We had a blast at Fort Monroe. The crepe myrtles were in full bloom which was a plus! I love how versatile Fort Monroe is. So many different locations and looks. 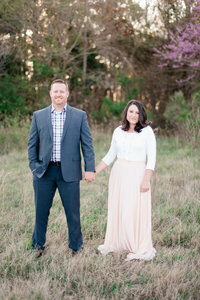 It was perfect for their session! Here are some of my favorites and because I had so much fun with these girls I am planning on doing another best friends giveaway again! I had to climb over many rocks to get this shot…But the light was so beautiful! GORGEOUS GIRL! Rocking that Model Face!